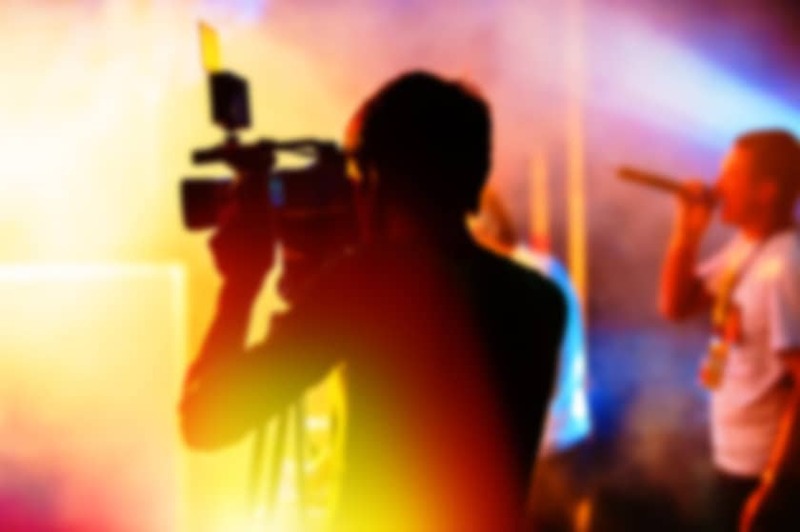 Music videos – making a music video: After you have recorded your music professionally and your fan base is building nicely, the next logical step would be to make a music video to accompany the strongest song you have. However make sure the timing is right and ask yourself what you want to achieve by doing the music video. Know your song inside out! What emotions and feelings does the song bring out when you listen to it? Is there a story in the lyrics that would play out well in music video? Is the song upbeat, or a slow ballad? Once you have established these facts, you can brainstorm ideas for the narrative of the music video. What is your budget? If your budget is tight, going for a lavish, over the top music video is doomed to fail when you can’t afford to carry on production. You need to be realistic. Some of the most well-known songs had music videos created for next to nothing. Once you have settled on a budget and narrative, figure out ways to create the music video in accordance with your budget. If you know people who study costume design for example, ask them if they want to get involved. People who know that their work will get noticed by the public for being in your music video are more than likely to be happy to help out! Doing things this way will save you money hiring individuals for each area of the video production. Budgets can easily get out of hand and equipment is expensive so have your budget and keep to it. Create a mood board, decide on filming locations. Will it be indoor or outdoors or a mixture? Will it all be in one place or at multiple locations? Be creative! It doesn’t necessarily need to be the area you have in mind. More practical locations may look similar or with a few props be just as good. It needs to be an accessible location and one you can be at without having any issues. For example, trying to film in a busy high street or inside a supermarket, some of the best videos are the best location ideas. Once you have the idea for your music video and know your budget and where filming will take place, it’s time to create a storyboard for the video so everybody is clear to you ideas and what you want to achieve. Storyboards are essentially what a comic book is. Each segment will form a different part of the music video. The storyboard can either following the structure of the song, or is based on the narrative you have chosen. Once you know what you want to happen and where, you need to listen to the song and decide how to transition between each segment. You are the judge on if what’s happening visually links to what is happening musically. For example, if it were a slow section, having a car chase would not match the audio. Pick the crew to film the video. It is beneficial you have people who know what they are doing and have access to good quality equipment. However of course budget will dictate so that’s the compromise. As much as it would save you money having a mate film it on his hand held video camera, it maybe won’t give a professional quality video. The people you pick should ideally have experience filming the kind of video you are after. That way, not only will they have the know how to get the best video possible technically, but they may also pitch in ideas to add to the video to help make it even better. Audition any actors you want to use so you get the best people for the roles you need. As long as each section has been planned then filming the video shouldn’t pose any problems. Cue the music so the actors can lip sync in time with the song and so can any musicians in the video. There’s no pint have the guitarist look like he is playing a solo if it’s the middle of a verse. Try shooting from different angles in different takes and then mixing it up when it comes to editing. Only use the best takes you have, even the smallest flaw will look unprofessional. Once everything is edited together, and you put the music track over the video, it will be complete!